William J. Moore is a trial lawyer who prides himself on exceptional service, results and efficiency. He maintains a diverse complex commercial litigation practice that has allowed him to represent publicly traded and privately held companies, investor funds, private equity firms, and high-net-worth individuals as plaintiffs and defendants in a wide range of business lawsuits. With a specific emphasis in the energy/oil and gas, real estate, financial services, and telecommunications industries, Will counsels clients in areas such as: services and product contract disputes, fiduciary duties and trade secrets, business torts, employment disputes, commercial banking/mortgage lending, securities litigation, and consumer finance. Will has key strengths in representing clients involved in M&A disputes, including those arising from breaches of representations and warranties, working capital issues, and earnout calculations; and he has been at the forefront of litigation on behalf of resort developers engaged in litigation with timeshare "exit companies." 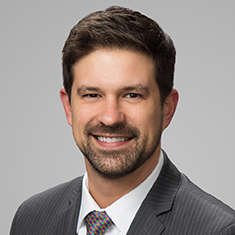 In addition, Will has experience preparing Hart-Scott-Rodino filings and defending clients in merger investigations conducted by the Federal Trade Commission and the US Department of Justice's Antitrust Division. Will provides legal counsel in all aspects of the litigation process, including advising clients prior to litigation, preparing and defending pretrial motions, discovery, trial, and appeal. He regularly appears in federal and state courts in Texas and across the country, has first and second chair trial experience, and has handled and resolved numerous matters through alternative dispute resolution procedures, including arbitration and mediation. Successful representation of one of the nation’s leading vehicle auction companies in a putative class action dispute involving alleged TCPA violation (no class certification). Successful representation of one of the nation’s largest consumer finance companies in a multimillion-dollar dispute with a software and data services provider. Successful representation of an international alternative investment firm in connection with breach of contract and breach of fiduciary duty claims against former high-level executive; obtained $2.8 million, take-nothing verdict on counterclaims stemming from alleged breaches of contract and common law obligations. Successful defense of the wind energy division of a leading global energy company in a contractual dispute arising out of the provision of transportation and logistics services for the development of one of the nation’s largest wind power farms. Successful representation of federal income housing tax credit facility developer/syndicator in litigation regarding fraud perpetrated by general partner in connection with a multifamily housing project in Georgia; obtained $4 million summary judgment. Successful representation of one of the nation’s leading natural gas producers in a lawsuit relating to pipeline and electrical services claimed to be provided in connection with an 18,000-acre oil and gas lease. Successful representation of a natural gas producer in a lawsuit arising from more than 40 Barnett Shale bonus payment and lease claims. Defense and resolution of arbitration claims arising out of pension plan administration on behalf of premier diversified business process solutions provider. Representation of the services division of a global alternative investment manager in connection with a lawsuit arising from faulty financial management software implementation. Representation of a national financial services company in connection with various consumer- and client-initiated actions relating to breach of contract, wrongful foreclosure/eviction and title disputes. Prosecution of a nine-figure arbitration action against a global telecommunications company on behalf of a distributor of products and services; also negotiated unique distribution agreement. Representation of national banking association in consolidated bankruptcy adversary proceeding trial in connection with claims over lien priority for $30 million in oil and gas assets; obtained favorable ruling. Successful representation of a broker-dealer in connection with a Texas Securities Act lawsuit involving more than $500 million in auction rate securities. Representation of natural gas producer in lawsuit relating to the marketing and pricing of natural gas produced from nation’s largest urban natural gas lease; obtained summary judgment. Defense of health care practice in employment lawsuit initiated by former doctor; obtained favorable judgment. Representation of national consumer lender in conversion action initiated before American Arbitration Association; obtained take-nothing decision. Provision of assistance in lawsuit against former employees for breach of contract, tortious interference and misappropriation of trade secrets that resulted in $4 million jury verdict for client. Successful representation of Haynesville Shale operator against former working interest owners.